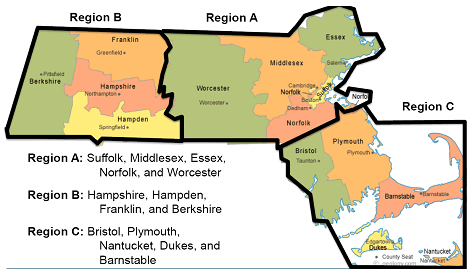 Last week I speculated that Massachusetts was a good bet to be the next state to join Nevada, Delaware and New Jersey in the “States that have legalized online poker” column, and it appears that those odds have just gone up as the State House of Representatives passed their 2014 budget with the online poker amendment completely unaltered. While this is a very good development for Massachusetts residents and poker advocates, I’m going to pump the brakes just a little bit as the budget heads off to the State Senate and will likely undergo some major revisions before a final version is passed. For those unfamiliar with the legislative process the budget debate then moves on to the Senate where they are allowed to change/create/add whatever they wish. Once an agreeable budget has been passed by the Senate the two legislative bodies form a committee to iron-out any disagreements. This process goes on until both the House of Representatives and the Senate has agreed to the same version of the budget. From there the budget must pass the desk of the Governor and his potential veto of the entire budget, or line-item vetoes to specific riders –the House and Senate can override a veto with a 2/3 majority vote. The Budget passed the Massachusetts State House by a 122-29 vote according to the Patriot Ledger, with every Republican voting against the budget on the basis that it would raise taxes on tobacco and gasoline, as well as a tax-hike for certain businesses. Unlike the federal government, Massachusetts doesn’t need any Republican support as the legislature is over 75% Democrat; so the key question for poker players will of course be whether the Senate puts online poker language in their budget, and how closely it resembles the house’s plan. The good news is that the online poker amendment has gotten nary a whisper in the local press, which would indicate that its inclusion is not a hot-button issue for anyone. The bad news is that it would be easy to strike-off the 2014 budget in order to gain a concession in another area of the budget. Also working against online poker in Massachusetts will be the state’s current process in handing out their Brick & Mortar casino licenses, which were approved only in late 2011 themselves. Critics are seeing the rush for online poker as a bit premature, considering the state has no history of gambling of any kind beyond lotteries and a few racetracks.